This sprawling campo with numerous late-night locales creates an ideal environment for students and other can meet and hang out. The only problem is — given that stone and water surfaces carry and amplify even the most subdued conversation — anyone within earshot can’t get a lick of sleep. What’s a mayor to do? Guest contributor and journalist Gioia Tiozzo of 100x100venezia.it reports. Venice, August 10 – It’s decided, at least for now. In Campo Santa Margherita and San Pantalon, bars, restaurants, pizzerias and gelaterie will lower their saracinesche [rolling metal storefront gates] and send everyone a casa. It’s a bold — if risky — new move to find a solution to managing the nightlight in the only campo In Venice where masses of youth congregate every evening [especially in summer]. The order will remain in force for the next two months, then reevaluated. Mayor Orsoni has left for the holidays, and the merchants, who certainly will not stand silent and watch, are left holding the bag. The issues at stake are not insignificant. 29 enterprises — as many types of activities are affected by the order — will be left to deal with a substantial loss of revenue and possible redundancy. If kitchens have to close at 11pm, some cooks and servers could also be left at home. Certainly the mayor had to do something. According to the findings of ARPAV, the noise level in Campo Santa Margherita at that hour is equal to that of an industrial area. It’s easy to understand the [ongoing] irritation of [the campo’s] residents, who need to sleep at a reasonable hour. Hence the drastic decision. “That’s the way you kill a town” say business owners, who yesterday morning gathered at Ca ‘Farsetti to get the May0r’s attention. They want more dialogue and a discussion board to seek an alternative solution together. The problem, in fact, according to operators, it is not up to the opening night of the premises, rather the lack of control over activity such as shouting, bongo playing, etc. They would have never come up with such a drastic solution; a better one would be to wet the floor at night (as is done in other Italian cities), thus discouraging groups from sitting on the wet ground chattering away into the wee hours. This entry was posted in Vita Venexiàn, Worth Noting on August 17, 2011 by Living Venice. ‘The Rialto Fish Market was never at any risk, and its vendors, with whom I met about 10 days ago, can sleep well. The historic Rialto market is a Venetian patrimony, and any decision must be made with its care in mind. The hypothetical transfer of Tronchetto to Fusina was only that – from the beginning – proposed only to evaluate the feasibility. 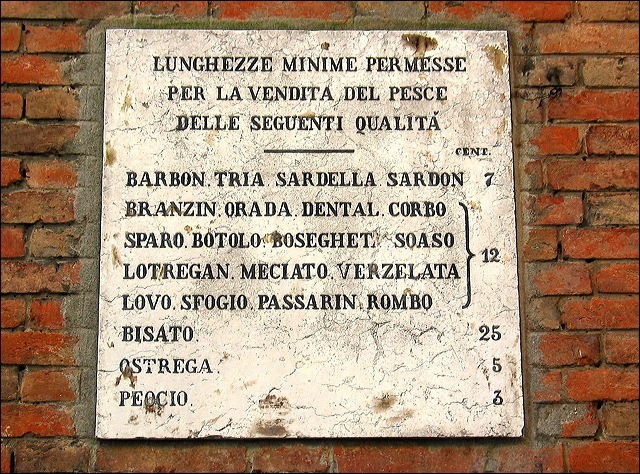 The fear was that if the wholesale market was moved from Tronchetto to Fusina, the logistics would make getting fresh fish to the Rialto Market would be impossible. For locals, if the fish isn’t fresh, it’s not worth eating. Having something so precious at stake in a city where residents already feel they have no say in decisions of this type, had rumors flying — let’s hope the actions to renovate the Trochetto market are the end of this discorso. “Il mercato di Rialto non ha mai corso alcun rischio e i suoi operatori, che ho incontrato una decina di giorni fa, possono dormire sonni tranquilli. 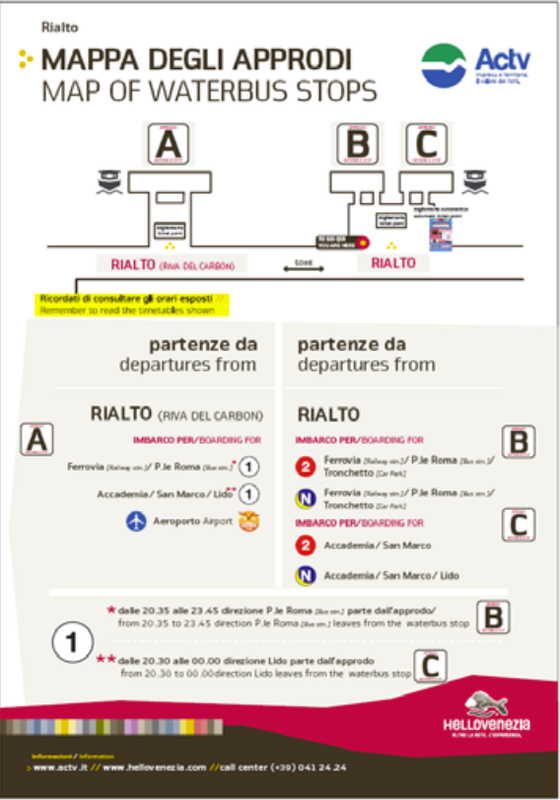 Lo storico mercato rialtino è un patrimonio per la città e qualsiasi decisione deve essere presa in ragione della sua tutela. L’ipotesi di un trasferimento del mercato ittico dal Tronchetto a Fusina era tutta da vagliare e da approfondire e come tale è sempre stata considerata sin dall’inizio. This entry was posted in About Venice, Vita Venexiàn, Worth Noting on March 11, 2011 by Living Venice.